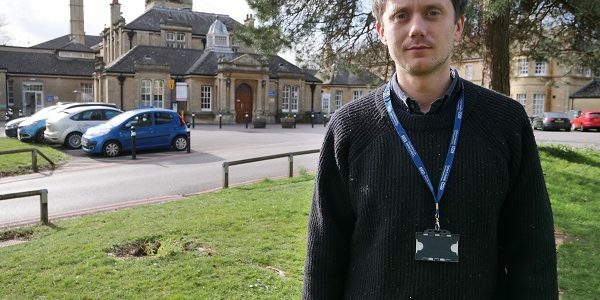 Max, 28 is one of Oxford Health NHS Foundation Trust’s team of 15 mental health practitioners working in the adult mental health assessment and treatment team, supporting people with conditions to live their lives to their fullest. Max provides practical support, motivating his patients and acting as a ‘gatekeeper’ with other agencies like Oxfordshire County Council, drug and alcohol services, housing and money support services to focus on someone as a whole, rather than defining them by their illness. While psychiatric treatments and medication is important in recovery, to prevent relapse and readmission an effective social care package needs to be in place. This is where Max comes in. He provides therapeutic support like low level cognitive behavioural therapy and graded exposure – treating and helping people overcome anxiety or phobias that may be preventing them building a support network in the community. Max said: “I support and assess vulnerable people with mental health problems living in the community and I work to reduce the risk of people harming themselves or others on a daily basis.